In addition to becoming aware of amazing books that are published and about to be published from bloggers and newsletters and the NYT Book Review, I also adore reading Bookmarks magazine. Their subtitle proclaims that it is the magazine for people who have not yet read everything. I love that. The November/December issue is one of my favorites. It is the Best Books Of 2010. ﻿They have a great website and newsletter, too. While reading this month’s issue the following books caught my eye. According to a blurb by Kensington Publishing…This Glittering World is about loss and atonement…one of my favorite topics. 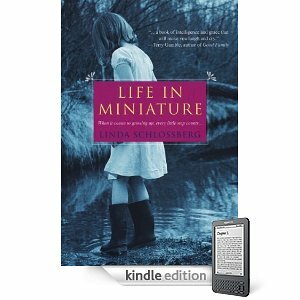 Life In Miniature is about the bond between mothers and daughters…another favorite topic. 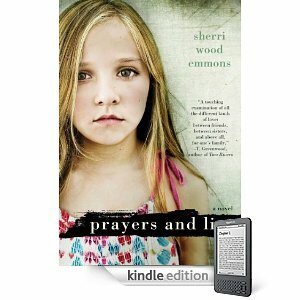 Prayers And Lies is about the often shocking events that thrust us into adulthood. I just read that you can go to Kensingtonbooks.com/Emmons for requests for early galleys. Sounds good to me!!! I Am Knitting…Yes I Am!! !